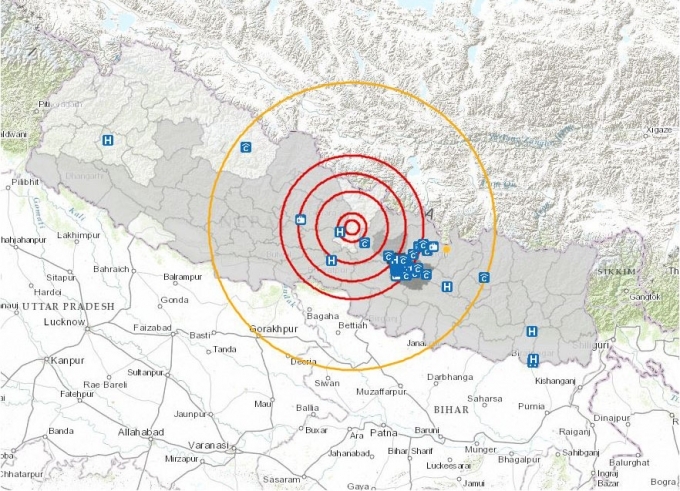 In post-earthquake Nepal, open data accountability – Open Data Aha! This map shows landslide sites. ICIMOD a team led by NASA and the United States Geological Survey (USGS) maps and monitors potential geohazards using satellite data. One of the first things I did after the earthquake on 25th April was to connect with my family through the internet as phone lines were then not available. Never before had I been so grateful to have internet access. The quakes in April and June claimed more than 9,000 lives and injured thousands. Million others are now homeless. Of the many ways the Nepalese community, international development organizations, and the Government initially supported the most affected, Internet and open data platforms played a major role. As info-hubs they provided updates for those in Nepal and elsewhere in the world and helped monitor post-disaster rescue and relief efforts. Following the earthquake, there was an overwhelming response from technocrats and data crunchers to use data visualizations for disaster risk assessment. 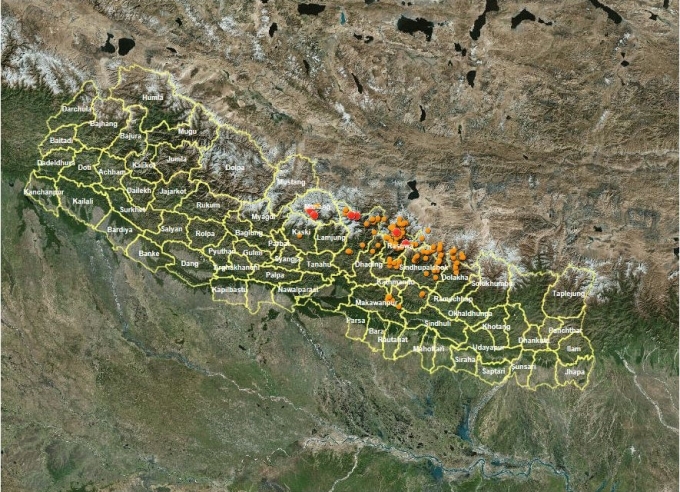 The Government of Nepal made datasets available through its Disaster Data Portal and many organizations and individuals also pitched in and produced visual data platforms. However, the use of open data has not been limited to disaster response. It was, and still is, instrumental in tracking how much funding has been received and how it’s being allocated. Through the use of open data, people can make their own analysis based on the information provided online. Direct Relief, a not-for-profit company, has collected such information and helped gathered data from the Prime Minister’s relief fund and then created infographics which have been useful for media and immediate distribution on social platforms. MapJournal’s visual maps became vital during the Post Disaster Needs Assessment (PDNA) to assess and map areas where relief and reconstruction efforts were urgently needed. Four months after the earthquake, Nepali media have already started to report on aid spending — or the lack of it. This has been made possible by the use of open data from the Ministry of Home Affairs (MoHA) and illustrates how critical data is for the effective use of aid money. Open data platforms emerging after the quakes have been crucial in questioning the accountability of aid provisions and ultimately resulting in more successful development outcomes. How can the OGP push forward the open aid data agenda? ‹ What is a data portal?